An excerpt from the most important radio book of the 21st Century, THE INFINITE DIAL, by Larry Rosin. I’m a huge fan of words. I solve the crossword puzzle every day. When I’m over there, I even give a stab at those British ones, which are very, very hard for an American. Recently I came across a new English word: retronym. A retronym is a word or phrase created because an existing term that was once used alone needs to be distinguished from a term referring to a new development. Kind of a long definition, but if I give you a few examples you’ll quickly understand. For the first 500 years that a guitar existed, that word was sufficient to describe a guitar. So, “acoustic guitar” is an example of a retronym. This was once known as the telephone or phone. 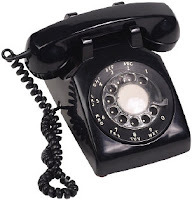 But over time it became called a “rotary phone” to distinguish it from the more advanced phones that came along. 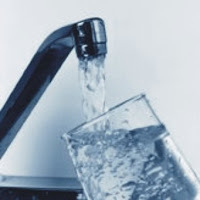 The stuff that came out of a faucet was once known as water. But because so many people now drink so much bottled water, we had to rename this “tap water.” All of a sudden this stuff got a new name. I was looking at this list of retronyms that someone had published and it occurred to me that I work very closely with an industry which is now also a retronym, which was once known as radio. What was once known as radio has been rechristened as “terrestrial radio” — radio that just comes out of antennae. All of these are cases where a new technology or advancement came along and forced the language to adjust to those changes. But it’s not just language that has to adjust. Businesses have to adjust as new things come along. The previous name for our entire radio industry has traveled way beyond its former meaning as just AM and FM. I’ve researched this extensively in terms of what the consumer perceives different kinds of radio to be. We have satellite radio, but the consumer perceives that as merely more radio. Internet radio is seen by the consumer as more radio. There’s radio that comes through the TV. You might not think of that as “real” radio, but when you ask consumers what it is they say,”Oh, it’s radio that comes through the television.” They see it as just more radio. Podcasts are radio. Radio that has been captured and moved to your iPod. In America, we are positioning HD radio as just more radio, extra radio, with extra stations. So the consumer is already aware that radio no longer just means what’s on AM and FM. They are already aware there’s been an incredible expansion. What they see is what I refer to as an Infinite Dial, a world where pretty much any kind of radio they ever might want to consume is available to them.